Since the beginning of the summer, the Russian Air Force has had seven accidents. RBTH tried to figure out the cause of these frequent air crashes. Experts are divided in their opinion. RBTH tried to figure out the cause of these frequent air crashes. Experts remain divided in their opinion. Experts often wonder about the age of a plane that crashed. It is no secret that Russia continues to operate equipment left over from the Soviet Union. Machines that are in use now were made in the 1970s. 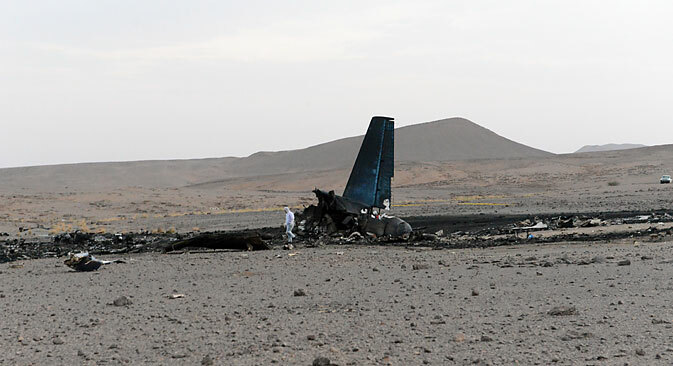 The only relatively new plane that was involved in a recent accident is the Su-34, which has been produced since 2006. The MiG-29 came into production before the 1990s, the last Tu-95 was manufactured in 1992 and the Su-24M was built in 1993. But age is not a critical factor in aviation. The condition of an aircraft depends exclusively on the quality of its maintenance and repair. Most flight accidents are caused on account of engine troubles. Russian company United Engine Corporation (UEC) is responsible for the manufacturing and repair of engines. UEC head Vladislav Maslov said that the Ministry of Defense has no claims against the company. He added that the amount of repair orders from the ministry is growing. “In 2015, we repaired six times more engines than in 2013,” Masalov said. “For a long time, the Russian defense industry has been losing human resources and been deprived of government funding, so that does not aid performance,” Major-General Pavel Zolotarev, Deputy Director of the Institute of USA and Canada, said. He believes that counterfeit parts may be the cause of the accidents. Alexander Garnaev, a renowned test pilot said, the problem is human error, and lack of proper technical training. “A system of compliance with standards of production and operation was destroyed in aviation and space technology,” he said. In the summer, the season of intensive aircraft operations begins in Russia, and the number of flights increases. With it, increases the likelihood of accidents, according to Colonel Igor Malikov, Deputy Chief of the Flight Test Centre.